It’s also reported that latest attacker was 22 years old – No “ordinary” terror group would strike on the same date of the month again and again – Only occult groups obsessed with ritual. French Elections… The Macron (“Diacritical Mark”) wins… Illuminati Symbolisms (“Marks”) abound!! Apparently the Macron DM (Diacritical Mark) won (was “appointed”?) by a large margin. So along the way today I saw this video (“All seeing eye” symbolism at Emmanuel Macron victory speech #NWO #LouvrePyramid) which pointed out Illuminati symbolism present in Macron’s speech at the Louvre. So I viewed that video, then found the original he used, here (REPLAY. Discours intégral d’Emmanuel Macron au Louvre). It appears the camera shots were chosen carefully so that much of the time, Macron himself was located directly under the eye of the Louvre Pyramid. According to my count, in that video, it occurred 17 times. This just came out (of David’s closet, not mine, as one FB commenter implied!). As I’ve typically done with David’s writitngs, I’m posting only the text below, so please go to the original to view all the images and links. “We have received major new intel updates from Pete Peterson on the Antarctic Atlantis. We had hoped to get it properly written up for you, with all the ancillary research data, before this trip but we just need a little more time! “Pete Peterson has finally been authorized to release far more intel than ever before. Something has changed on the inside to make this possible. The current situation in the world may seem very hopeless and muddled, when in fact we appear to be right on the brink of incredible new developments. (Dan Sanchez) OP-ED When we first see Hugh Jackman in the new film Logan, his character is hungover and hobbling: a shambolic shadow of his former self, the slashing super-hero Jackman has played in seven films over seventeen years. 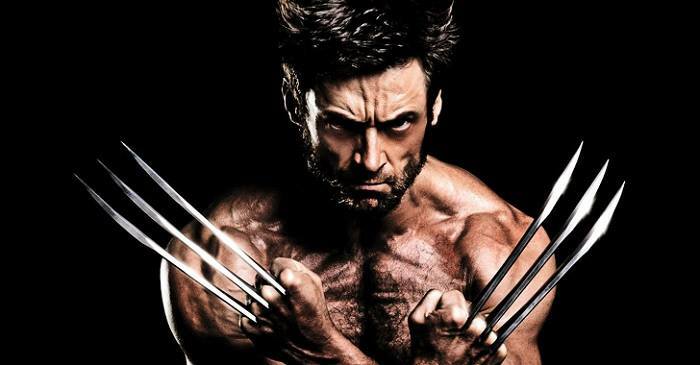 The Wolverine we have come to know is vigorous and invincible. Now he is worn out and wracked with chronic pain, which he self-medicates with booze. His claws are malfunctioning, his healing powers are fading, and the toxicity of his metal-laced skeleton is slowly killing him. We’re revolutionizing the news industry, but we need your help! Click here to get started. Old man Logan has retired from the hero business. Instead, he is working as a limo driver, shuttling frat bros and basic party girls to and fro, trying to scrounge up enough money to buy meds for his ailing mentor Charles Xavier, played by Patrick Stewart. Xavier is also a fallen figure. He was once “Professor X,” the charismatic founder of the X-men. Though long a paraplegic, he was once the moral leader of the mutant rights movement and a world-class genius with god-like mental powers. Now he is a frail, senile nonagenarian afflicted with a degenerative brain disease that causes lethal seizures: lethal, that is, to anyone else within a ten-mile radius. The year is 2029, and the world is beyond saving. The bigots have won, mutants have all but died out, and Logan’s only ambition is to buy a boat so he and his adopted father figure can drift out to sea and both die in peace. On GoldFish Report No 84, Louisa and Kent review the events in the swamp this past week including info about Benjamin Fulford, POTUS budget and MSNBC lawsuit, Merkel Visit, Jobs for Vets, North Korea, Flint Water, secret service stolen laptop, 9th circuit break-up, Special equinox energies update and a shout out to our viewers and supporters!! And much more…..To help support viewer supported public social media please visit http://www.thegoldfishreport.com. (or we have to have commercials interrupt our programs every 10 minutes) Follow us on Twitter at @ReportGoldFish, facebook at http://www.facebook.com/thegoldfishreport, on our blog at http://www.thegoldfishreport.wordpress.com and please subscribe to our YouTube Channel at The GoldFish Report. Thank you for Viewing! Marty Leeds is an author and video producer widely known for uncovering a mathematical cipher or cryptogram for the English alphabet, based around the transcendental number of Pi that deciphers everything from board games, biblical verses, names and symbols of secret societies. Leeds was a featured speaker at the Free Your Mind Conference in Philadelphia in 2013. His books include Pi & The English Alphabet Vol1 & Vol2, as well as the recently released “The Peacock’s Tales – The Alchemical Writings of Claudia Pavonis.